Thanks to RY.com.au here is your chance to win one of 8 x Jbronze Gradual Tanning Creams (150ml) valued at $19.95 each. 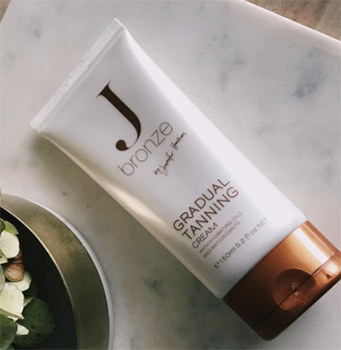 Jbronze Gradual Tanning Cream is enriched with natural skin caring, moisturising and firming oils and antioxidants; coconut oil, avocado oil, jojoba oil, macadamia oil, aloe vera, goji berry, cranberry extracts and rosehip oil to ensure your skin is hydrated and well cared for with every application. Jbronze Gradual Tanning Cream is 100 per cent vegan-friendly with no animal testing. It is also free from parabens, palm oil, petrolatum, SLS's and mineral oils.